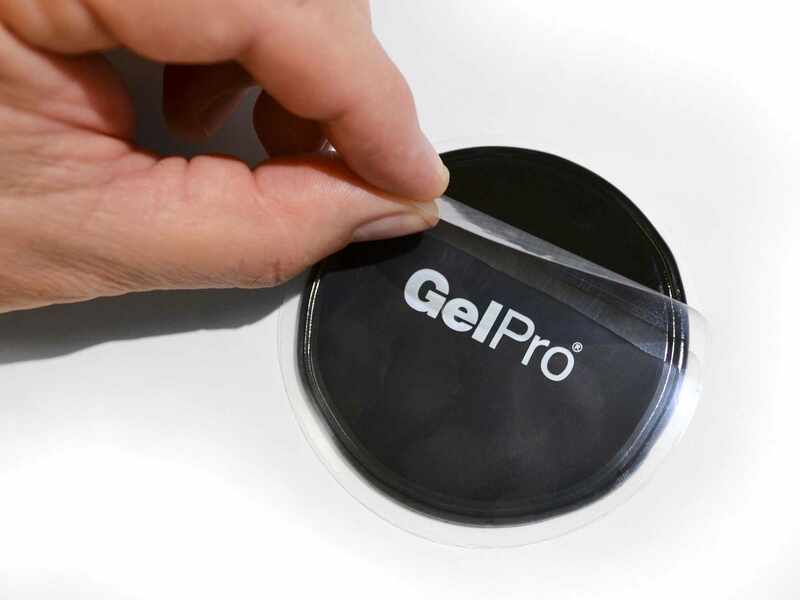 GelPro’s GellyGrippers™ are double-sided adhesive pads designed to keep GelPro Comfort Floor Mats and rugs from moving or sliding on flooring with slick surfaces. 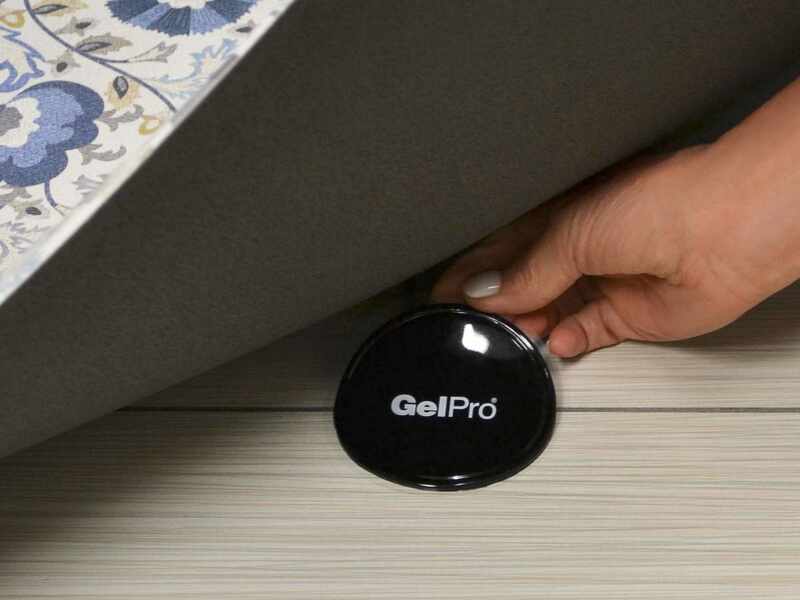 These flexible gel pads easily attach to the bottom surface of all GelPro mats, most accent or area rugs or anything else you need to secure in place! 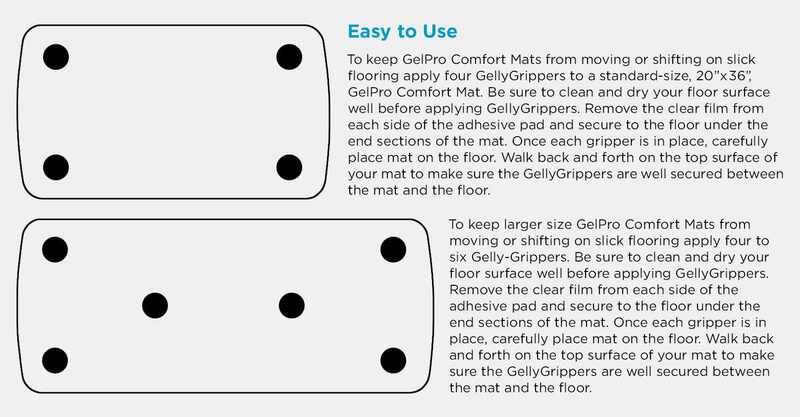 Featuring a reusable, washable design, GellyGrippers are easily cleaned and adhesive is renewed by simply washing with water. Four adhesive pads come in a pack of GellyGrippers. 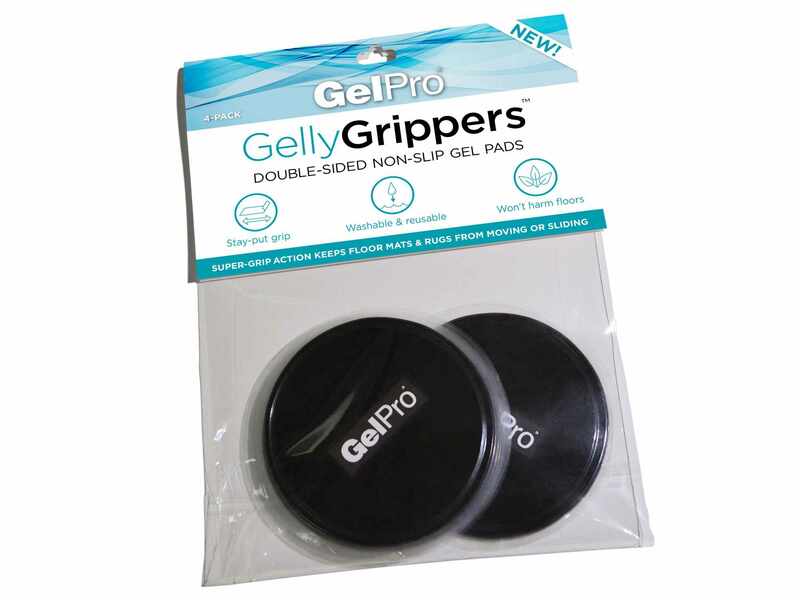 GellyGrippers stick to almost any smooth surface, including: tile, metal, wood cabinets, refrigerator, dashboards and mirrors. Use them to hold your phone, pad, remote control or keep chair cushions or pet beds from shifting. 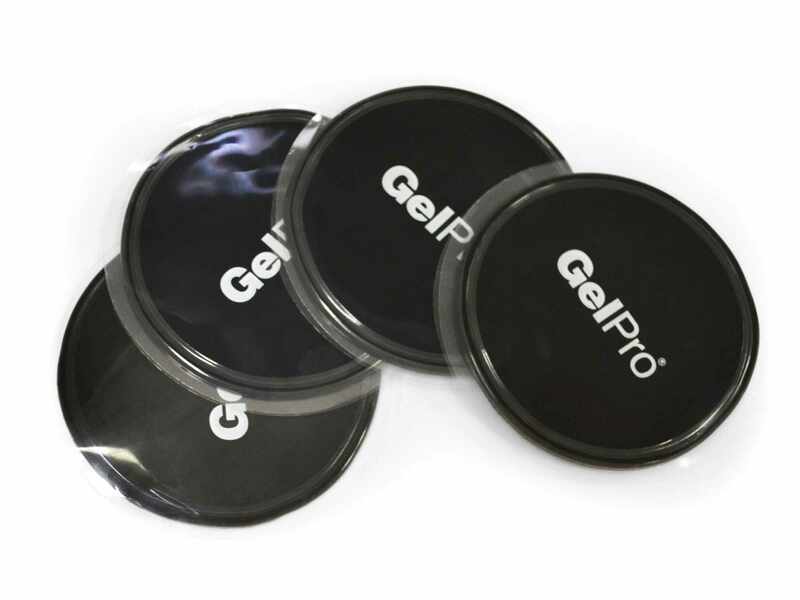 These super versatile anti-slip pads are also handy for keeping items in place in cars, golf carts and on boats!